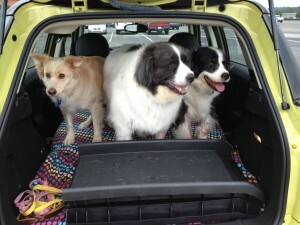 Here at DogGeek we love to travel with our pack! As you most likely know, getting ready for a long trip with your best friend takes a little bit of extra planning. You have to think about potty breaks, not just for your dog but for you since you can’t leave them in the car in the heat. Where to eat, water, etc… Below are a list of items for you to remember. Thank to HerePup for creating the infographic below. If you want to get your dog all excited and wagging its tail, just jingle your car keys and ask “Do you wanna go for a ride? !” It (almost) never fails. 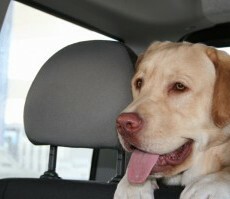 Like many pooches, your pup adores riding in the car with you. Whether you’re heading out on a road trip or merely running some errands in town, you also love having your four-legged bestie along for the adventure. Check out the following tips to keep your best pal as safe as possible on the open road. 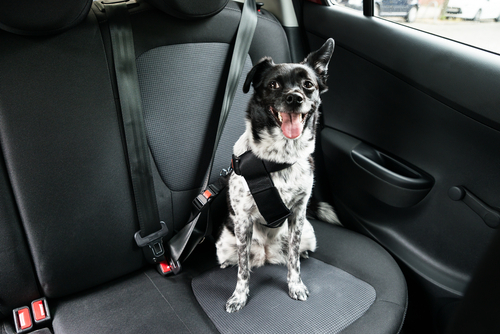 Much like you prioritize wearing a seatbelt — hopefully for your kids, too — you also want to make sure Fido is safely restrained before putting your car in reverse. Indeed, don’t let your dog go unharnessed and suffer an injury. According to PetMD, when you get in an accident with an unrestrained dog, they can incur broken bones, punctured lungs and other serious injuries. To prevent this altogether, purchase a restraint of some kind to keep your dog safe and secure. You can find canine seatbelts at any local or online pet store. For example, the website for Doctors Foster and Smith carries vehicle safety harnesses in a number of sizes for about $25 each. 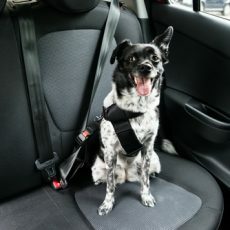 So if you’re heading out on a long trip with your dog, you might want to test drive the harness first, allowing you to practice safely strapping your dog in as they get used to the idea of wearing it. Getting a flat tire on your way to Starbucks with your pup for a latte and “puppaccino” is stressful enough; having car trouble in the middle of nowhere is even worse. To prevent this from happening, follow your car’s regular maintenance schedule by getting regular oil changes and tune-ups. Also, keep a close eye on your tires to ensure they’re in good, working condition. To evaluate your tires for baldness, use a penny or a quarter to determine each tire’s remaining tread depth. Simply insert a penny into the tire treads on all four tires, with Honest Abe’s head facing down. If you can see the top of Lincoln’s head, your tires are at 2/32nds of an inch or less of tread and should be replaced immediately. We’ve all seen it: Carefree, happy-looking dogs sticking their heads out of the car window. Despite the joys it may bring Fido, it’s definitely not a safe activity. Of course, road debris and any number of other things can fly up and hit your dog in the face, and if they spot a small animal (squirrel! ), they may very well try to jump out, leading to serious injuries or death. Despite these and other safety warnings, it’s definitely fine to bring your pooch with you on driving trips. But by incorporating these tips into your routine, your time together running errands and going on vacation will not only be fun, but it will also be safe for your beautiful dog. The sun is finally out, birds are singing, flowers are blooming, and the open road is calling. Although it may sound fun to hop in the car with your dog, open up all the windows and just drive, you won’t get far before you wish you’d packed him a bag, first. 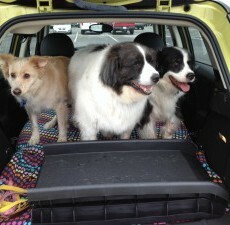 Packing for a road trip with a dog can be fast and easy, and will help keep your pooch safe and comfortable on the drive. Here’s a few things to grab on your way out the door for a day of fun on the road, or to keep in a bag near the door for those spontaneous road-tripping urges! Don’t leave your dog in a parked car while you go inside for lunch. Pack your own snacks and enjoy a picnic together outdoors in the shade together. A few minutes of packing, before you leave, can save you hours of frustration on the road. 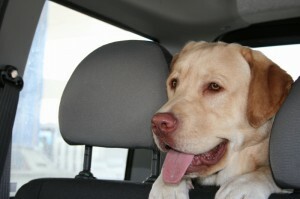 Most importantly, it will ensure that your pooch is safe and comfortable and will enjoy the ride, along with with you! As a devoted dog parent, you no doubt enjoy taking part in as many activities as you can with your beloved furry friend. Beyond keeping you both physically active, you relish this time together because the term “man’s best friend” means something special to you. Apparently, you can still teach a dog new tricks. Of course, teaching your dog new commands can be a lot of fun — and it’s also a terrific way to bond with your four-legged best friend. On nice days, head out to a large field and either teach your dog or provide a refresher on performing simple commands, like “stay” or “sit” while he or she is safely on a long leash. Hold onto the end of the leash and tell your pup to “stay,” while slowly backing away. The goal is to get to the end of the leash without them moving. If your dog is an A+ student when it comes to following commands, you can also practice at a busier location like a local pet store to determine if they can handle distractions. If you and your dog are looking for something a bit more challenging than a brisk walk through a local park, consider going hiking and camping together. To get started, ask fellow dog lovers about their fave pooch-friendly places to camp and hike, or use Google to find a trail that will match both of your physical abilities and a nearby campground that accepts dogs. But first things first. Ensure your vehicle is up for the journey by checking your oil and other fluid levels. You’ll also want to take a good look at your tires; after all, the last thing you want is to be stranded in the middle of nowhere with your precious pup while you change your flat. If your treads look mighty worn or there are other signs of corrosion, consider replacing your tires altogether by checking out selections at a local auto shop or visiting TireBuyer.com. The online tire retailer offers a selection of dependable tires for all makes and models, including trucks that will allow you to get off the main roads. 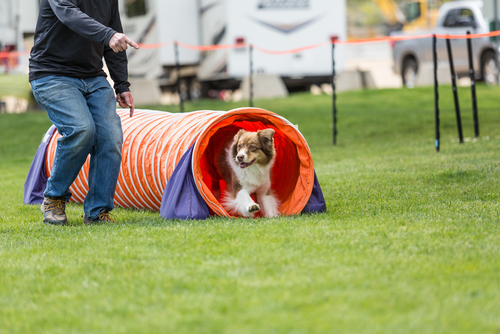 Ever caught a canine agility competition on TV? 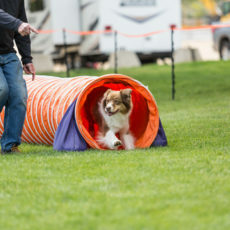 Then, like thousands of viewers, you were likely amazed by the fact that dogs of nearly all sizes can learn to race up and down see-saws, go down slides, and zip through long fabric tubes. Of course, you can create a similar obstacle course in your backyard. Start by setting out some hula hoops and sports cones and, if you think Fido is ready, encourage him to zip down your backyard slide. 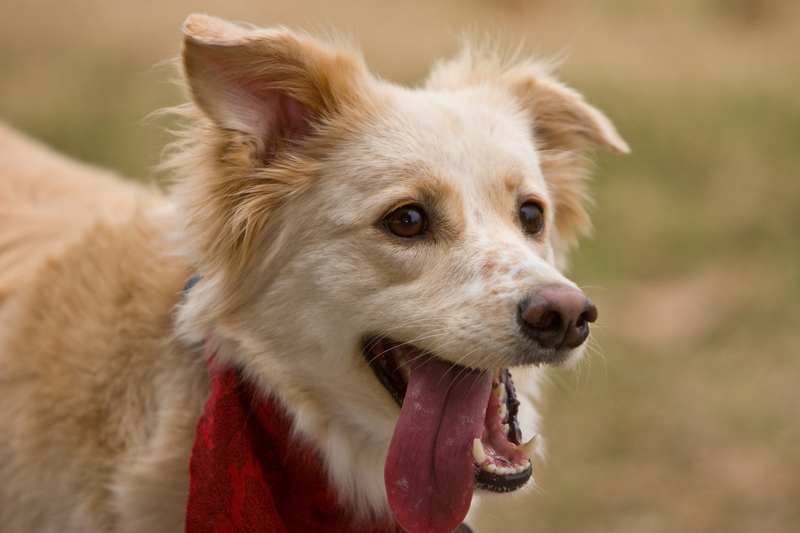 Additionally, you can encourage your dog to run through, over and around other various pieces of equipment. And since you’ll be running alongside him or her, these activities will provide great exercise for you both. Is your pooch usually well-behaved? Does he or she enjoy interacting with other dogs? If so, then you might enjoy heading to a local favorite bar or restaurant that offers a dog-friendly patio. Of course, if you’re not sure which establishments cater to dogs, simply Google “pet-friendly restaurants” and you’re bound to see a wealth of results. Honestly, what’s better than enjoying a delicious meal or drink with man’s best friend at your feet — especially spots that offer free dog treats and water? These four activities are a great way to fulfill your quest to get out more with your pup. 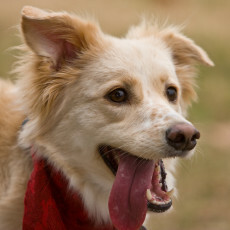 As a bonus, he or she will certainly reward you with a wagging tail and a bright doggy smile.